Is your perfect weekend filled with sports, activites and friends? Do you love bringing people together and creating lifelong friendships? Then VAVi Sport and Social Club is for you! VAVi is currently looking to hire a member of our Sports team. The Sport League Operation Coordinator will report directly to the Sports Director with the goal of maintaining world class operations and growing our local sport leagues. All internships require a 3 month minimum commitment. All positions are unpaid internships compensated with college credit. VAVi Sport & Social is searching for applicants to specialize specifically in sports league and event video content creation. We are looking for someone with video capturing and editing skills to be out at our fields and events, filming and putting together recap videos, talking to players, conducting interviews with team captains, and showing the fun on the field and the courts to all of San Diego and beyond through our social networks. The ideal candidate will be currently enrolled in school and able to receive college credit for this internship. This is the perfect way to get your content exposed to potentially hundreds of thousands of people through our website, blogs, Instagram and Facebook Live, and more. VAVi Sports is looking for students with basic writing skills, computer skills and a positive attitude. Preference is given to applicants who are passionate about sports, have a social network, are interested in producing special events and enjoy promotions and marketing. 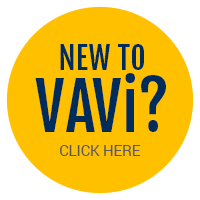 You will gain valuable experience working directly with both the VAVi Sports and Marketing Teams. You will conduct research, assist with facility visits, support promotions/marketing team, plus help manage critical projects for the company. All interns will work with an employee mentor to help guide them in their internship. Our goal is for all interns to leave with a better understanding of not only our business but of what the intern’s passions are for future careers. VAVi Sports and Events is searching for applicants in the sales and marketing field to train with the marketing team in a number of different manners, including the following: analyzing existing data and making recommendations to the team on optimization, calling potential local marketing partners in various cities to negotiate and coordinate email campaigns, listing events, assisting with creative conceptions and social media, copy editing, and overall internet, digital and email marketing skills.